Muslims are predicted to make up almost one in three of the world’s population by 2025, and increasing numbers of well-heeled, well-educated Muslims are already seeking out goods and services that meet their needs – not only at home, but also when they travel. An early morning call from Malaysia. It’s an old friend enquiring about London’s best halal hotel. Enthused by the coverage of Queen Elizabeth’s Diamond Jubilee, the London Olympics and Mo Farah’s double gold wins, he has decided to visit London with his family as soon as Ramadan finishes this month. He would like to stay in a Muslim-friendly hotel, do I have any suggestions? I ask a few friends and search some Muslim websites – only to draw a blank. The closest London can offer is a vegetarian-friendly hotel. But it’s not just the assurance of halal food that my friend is hoping for. He’d like to go somewhere which is considerate of his family’s other needs as Muslims, such as guidance on finding the direction of Mecca inside the hotel room for prayer times, alcohol-free dining areas, perhaps separate spa facilities for men and women. My friend is part of a growing worldwide trend. Global urban Muslims, highly educated, well-travelled, often with families spread across different continents, they are increasingly seeking out goods and services that respect and reflect their needs as Muslims. And this is no narrow niche – the worldwide Muslim population of around 1.8 billion is growing rapidly and is predicted to reach 30% of the global population by 2025. Urban Muslims like my friend are increasingly flexing their consumer muscles and travel is just one sector where their money is beginning to count. A recent study conducted by Dinar Standard, a US-based consultancy that tracks the Muslim lifestyle market, found that Muslims spent about 102bn euros (£85bn, $126bn) during their travels last year. In 2020 the corresponding figure is reckoned to reach 156bn euros (£122bn, $192bn). 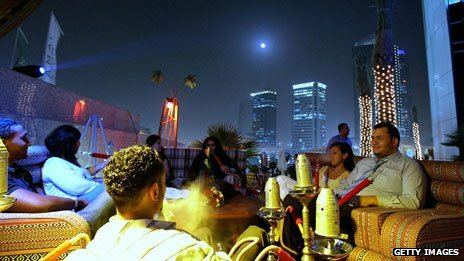 The favourite destinations have been predominantly Islamic countries, such as Egypt, Malaysia, and Turkey. But now non-Islamic countries such as Australia are also waking up to this group of tourists. Fazal Bahardeen, founder and CEO of Crescentrating, a Singapore-based organisation which ranks hotels and airports for their Muslim-friendly facilities, points out that Muslim travellers tend to travel in larger family groups, stay longer and spend more. No business can afford to ignore them. With 60% of its population Muslim, Malaysia has taken a global lead in promoting halal goods and services. When I visited Kuala Lumpur in April for its annual world halal week I was astonished to see the range of non-food items being showcased: from glamorously packaged French perfume and fashion through to halal paintbrushes and chinaware. But one of the biggest revelations was to visit a holiday resort in the seaside town of Port Dickson which is crescent-rated five, indicating that it offers a really Muslim-friendly holiday experience. The Balinese-style luxury villas in the hotel complex reach out on stilts over the turquoise waters. Overlooking the Malacca Straits, with palm trees and golden sands all around, it’s a picture postcard paradise. Each villa has an arrow on the ceiling indicating the direction of Mecca, and Korans are readily available. The hotel restaurant is not only halal, it does not serve alcohol either. The deluxe villas come with their own private indoor pool so Muslim women don’t have to use the public pool. There are prayer rooms on site as well as lots of wholesome family-friendly activities – and no adult movies on the in-room entertainment. The resort offers special Ramadan packages, with the pre-dawn breakfast and a buffet in the evening to end each day’s fasting. Not surprisingly the hotel is attracting Muslim holidaymakers from all over the world. Britain could do a lot better. East London is home to the Olympic Stadium, and other icons of the amazing games we have just witnessed. 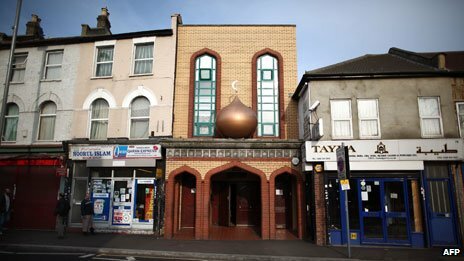 Its surrounding five local authorities are also home for almost half of Britain’s 2.1 million Muslims. With all this next to Europe’s largest shopping mall, there are great opportunities to develop the area as a perfect destination for a Muslim-friendly holiday. Just for starters, how about the Mo Farah London Bus Tour?